Stephanie Beatriz's Rosa Diaz falls for guest-star Gina Rodriguez in a new trailer for the Season 5 finale of Brooklyn Nine-Nine. The clip, released Thursday, features Terry Crews' Terry Jeffords attempting to play matchmaker when he mentions to Rodriguez that Beatriz's character is single. Beatriz is then seen falling in love with Rodriguez as she exits her car in slow-motion. The characters are meeting together over a veil Crews has misplaced. Rodriguez was announced as a guest-star on the comedy in March after executive producer Dan Goor stated that the actress would be a perfect love interest for Beatriz after her character has come out as bisexual. Brooklyn Nine-Nine's Season 5 finale, which is set to air Sunday at 8:30 p.m. ET, will be the last time the series appears on Fox after it was picked up by NBC for a sixth season. 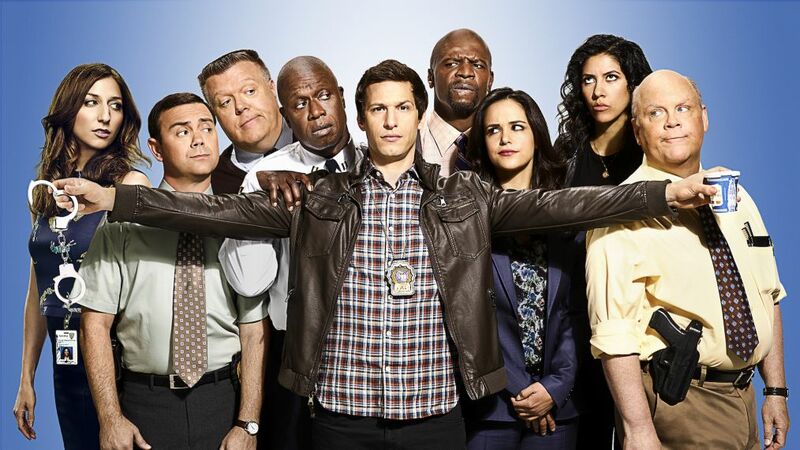 Fox had originally canceled the series that also stars Andy Samberg, Andre Braugher, Melissa Fumero, Joe Lo Truglio and Chelsea Peretti, with NBC coming in to save it.